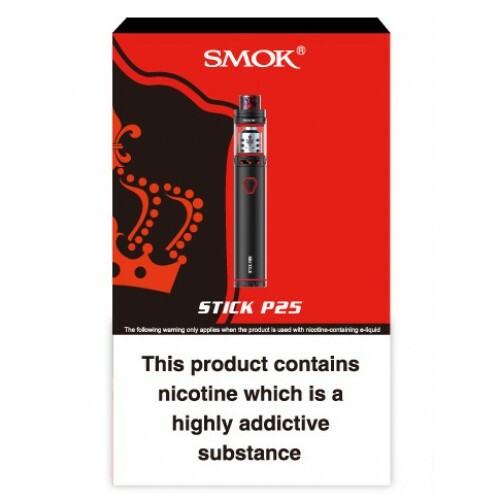 The Smok Stick P25 Kit is the worthy successor of the Prince Stick, in the EU version. 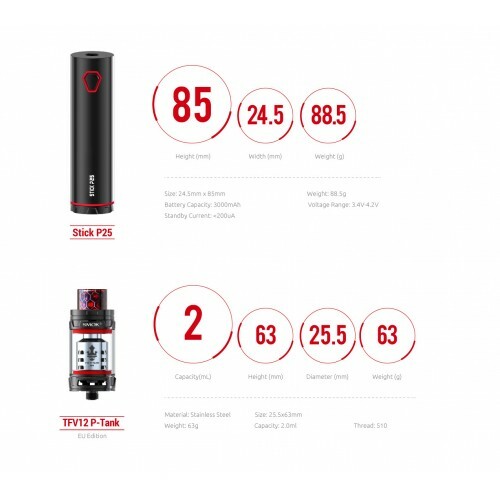 It includes an extraordinary combination of 3000mAh battery and P-TFV12 tank, so it was born to be a legend. 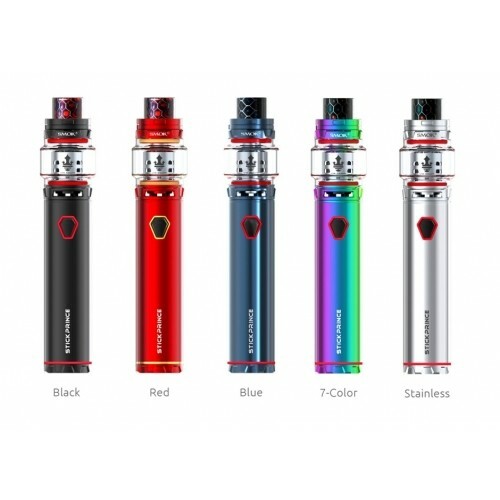 With its new design, it includes a hexagonal ignition button and a carefully carved battery base, thanks to this, you can feel how exquisite it is. 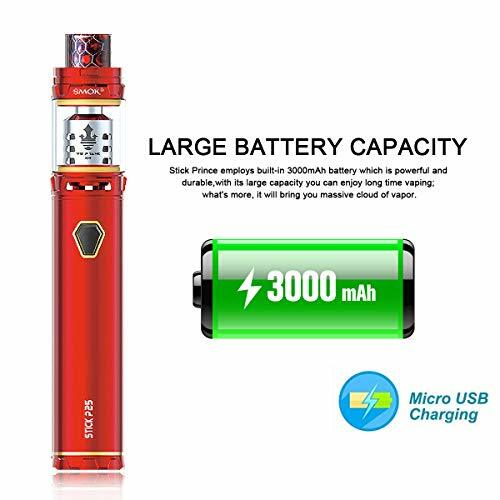 The great capacity of the Stick P25 battery is the best guarantee for being able to vape for a long time and the LED indicator on the body will indicate the specific conditions of the battery. The P-TFV12 tank has a capacity of 2 ml and some spectacular resistances, which can give you a lot of steam without ignoring the flavor. In addition, the tank locking mechanism can effectively solve the leak problem. 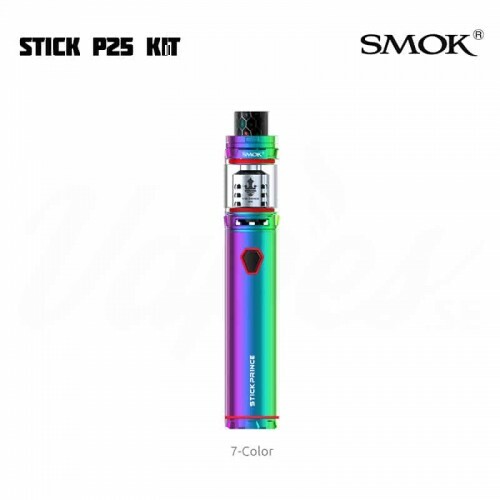 SMOK VAPE PEN 22 REPLACEMENT GLASS This is the replacement Pyrex glass tube for the Vape P..
SMOK STICK AIO STARTER KITThe SMOK Stick AIO Starter Kit, measuring at 22mm in diameter, adopts th..